To read more about my book go to the book's website, AdventuresWithDadTheBook.com. To buy my book go to Amazon.com or send me an email (gowergulch@yahoo.com). 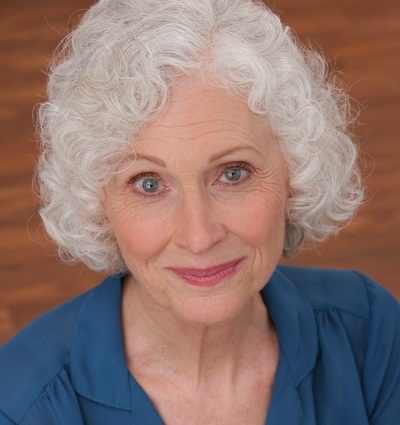 Lee Gale Gruen - “Lee Gale” is the first name - moved to Rossmoor in 2016 from her lifetime home in Los Angeles, CA. After retiring from her 37-year career as a probation officer, she became a professional actress, author, speaker, and blogger. She has appeared in television, film, commercials, theater, print, and live-interactive roles. She performed for over a decade portraying patients at UCLA Medical School as part of student training, was an exercise dancer in the 2011 "Jane Fonda Prime Time Firm & Burn" workout DVD, and appeared in a 2016 Super Bowl commercial. Her transition to becoming an actress in her senior years has been written about in Time Magazine, the Los Angeles Times newspaper, AARP “Life Reimagined,” and in Marlo Thomas' 2014 book, “It Ain't Over...Till It's Over,” which profiles different women who have reinvented themselves. 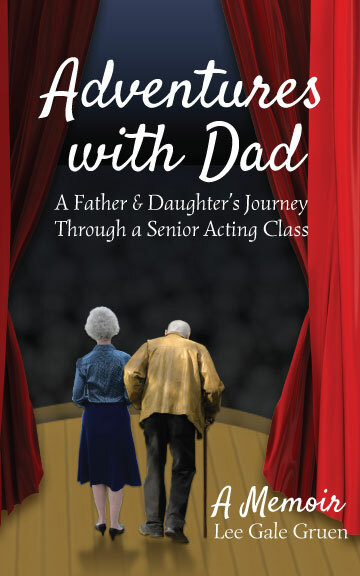 The memoir begins as Lee Gale retires from her career as a probation officer at age 60 and attends a senior acting class with her newly widowed, 85-year-old father, for three years, bonding more than ever. Included in her book are the six comedy scenes she wrote and performed with her father in the class. They both appeared twice each year onstage in front of live audiences. Lee Gale, then, transitioned into the world of professional acting. As her fledgling, second career started going uphill, her dad's health started going downhill. She would recount to him each of her new experiences while she sat beside his bed at the nursing home where he resided in his final years. Lee Gale has also written a screenplay based on her book and has had several articles and short stories published, the most recent being in the “Chicken Soup for the Soul series.” She blogs and lectures on the theme, “Reinventing Yourself in Your Retirement,” with the goal of helping Baby Boomers, seniors, and those contemplating retirement find joy, excitement, and satisfaction in life after they retire.